Catnip is a relative of the mint family and when you compare the two, you can see just how similar they look. Both plants are edible, and have a history of being used for a wide range of ailments in both humans and cats. Both mint tea and catnip tea have been used for centuries, you can find them both here: www.herbsmd.com. 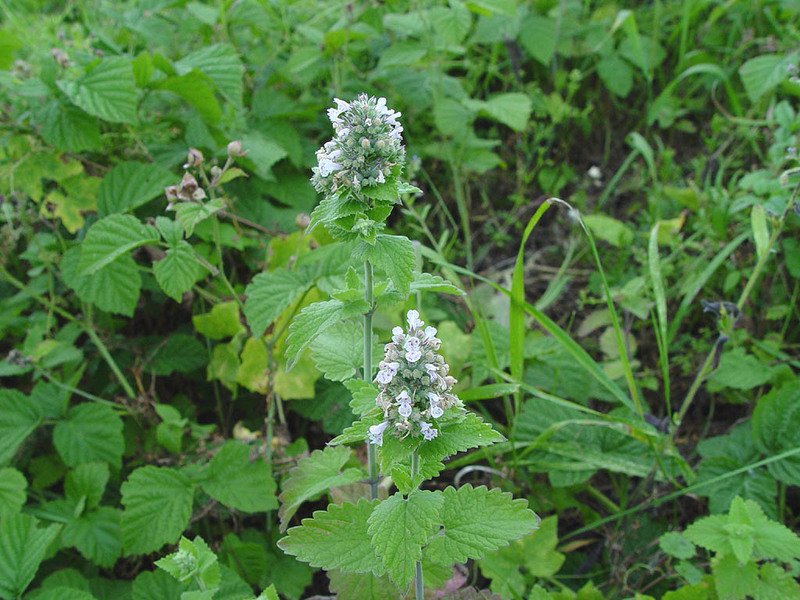 Both catnip and mint grow wild in various locations throughout the world. In fact, catnip is far more common that you might expect, and can be found in many locations, from the city to the mountains. Always be careful when picking your herbs, and make sure that the soil they come from is not obviously contaminated. 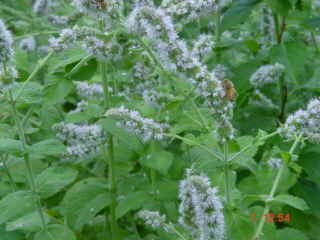 Picking mint or catnip from around a junkyard, mine, trash dump or places that dump chemicals is probably not the best location, as any herb can absorb chemicals from its surroundings. 2. Can I grow my own catnip? - Almost any time you buy catnip, you will have seeds. They are a tiny black seed, about the size of a couple of grains of salt. As someone who has grown catnip for a long time, I believe it's a bit difficult to grow. Start with a small pot (couple of inches is fine) and a good potting/seed starter soil. Fill the pot about 1 inch from the top, sprinkle in your seeds, and put a fine layer of soil over them (less than 1/8 of an inch) and pack it moderately. Then place the pot in a warm location that gets a bit of sun for the first week or two. You have to keep the soil damp (not water logged or too wet) almost constantly. A good way to do this is to keep a spray bottle with water next to it, and spray the top of the soil gently but religiously. After the seeds sprout, its important to give it full sun and water it every day (but not too much)! A young catnip plant is very fragile, and even a ½ to 1 day without water in full sun can kill it. Once your plant gets larger, they are very hardy and more tolerant of going without water. Catnip generally prefers a slightly to moderately damp soil. Once your plant starts to get larger, it can be transplanted like any other plant. Your cat will enjoy catnip fresh off the plant, or you can pick it ahead of time and dry it in a sunny location. Be careful where you put your catnip plant, especially when it is young. ¦If kitty finds it, it may end up tipped over and eaten! This is especially true after you have recently brushed up against, picked or damaged the plant, as this releases the catnip fragrance. Your kitty will be more likely to find and eat your plant at these times. I have found that in general, its best just to get a hanging planter, or put it in a location where your particular kitty cant get to it while its small. Once the plant is large enough (about 6 inches tall for one cat) your kitty probably wont eat enough to harm the plant, and you can set it in a safe location where your kitty can eat at will. Just make sure the pot is heavy enough, and low enough, or secured so that he or she can't tip the pot over. If you have any questions about growing your own, please email us and we will be happy to help if we can! d)	Kitty can get slightly purrplexed, feisty and vocal, sometimes all at the same time! e) They all have their own individual reactions; some kitties get very active, some like to take a nap, but it generally appears that they are having fun! Smelling the catnip is enough to cause a reaction although most cats also like eating catnip. It's said that catnip can improve a cat's digestion, and it also contains a wide range of beneficial vitamins and minerals, and fiber. This can help with furballs, and provide additional fiber and nutrients in their diet. 4. At what age can I give my kitten catnip: Well, it generally takes most kittens from 4-6 months to react to catnip. Frequently while they are young, they will actually turn away from it, but it all depends on the cat. I have seen 3 month old kittens that love it, and ones that have turned away, come back 3 months later, and go crazy then. So, probably easiest just to wait about 4 months, see if they like it, if not, try again a couple of months later. If by 8-12 months they dont like catnip, they may be one of the small percentage (about 10-15% of cats), that actually will never like catnip, but hopefully not!